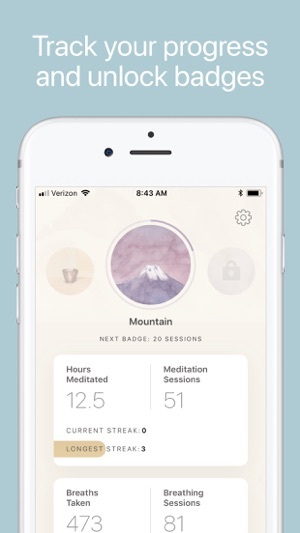 -Oak supports Apple HealthKit for tracking “mindful minutes” with the Health app (optional). Thank you for taking care of yourself (and your monkey mind) through meditation. Have questions or feedback? Reach out to us anytime at support@oakmeditation.com. 1. The guiding voice is significantly louder than the background noise. I wish there was a way to control the balance between these two. I don’t like the guiding voice to be too loud, but when I adjust the voice volume to my liking the background sound is almost inaudible. 2. 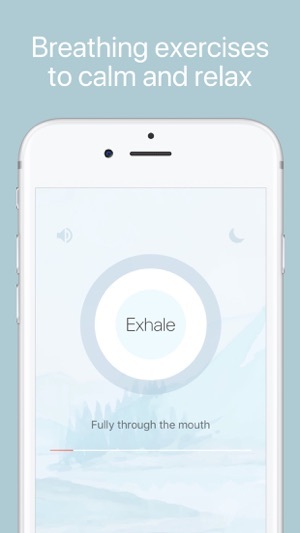 For the breathing exercise, I wish there was an option for an audio guide as well. Just like while meditation, while breathing I prefer to not stare at my screen, but currently there is no way for me to follow the breathing exercises without having my eyes glued to the screen, I hope this will change. 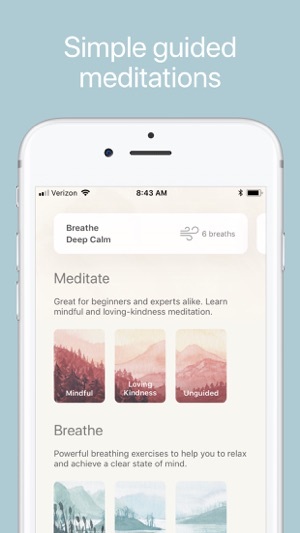 Overall, this is an excellent mediation app, and I hope it remains clean and bloat free, with non of the “premium” features that are constantly being pushed with similar mediation apps. Thanks for making the world a better place. I used the v2 app for the first time today, June 15, 2018, the day it was released. I miss the calming darker blue background with white clock numbers. I meditate in a low light environment. The new lighter (white) background is too bright. When I open my eyes to check the countdown timer, it hurts my eyes and the thin-lined black clock numbers are hard to read. Also, when I close my eyes again, I still see the photo image for a few seconds. This brightness is counter intuitive to relaxation. I do like that the makers kept my previous data and that they fixed the breathing counter to go higher than 1k. UPDATE: July 10, 2018 - I have been manually adjusting the brightness on my iPad app each time I use it and am very happy with the results. I highly recommend it his app often to friends and family. UPDATE Oct 14, 2018: FYI, the “Growth” section is not opening. There might be a glitch. It has been this way for a couple of weeks. Thank you for the great feedback on the background brightness and colour. We'll work on adjusting the colour scheme so that it feels more relaxing in low-light and evening environments. Simple, Elegant and Free. Just Get It. I used version 1+/- initially. It had everything I needed and something I didn’t, no annual fee, upsell, etc. Honestly, I was quite happy with version 1 but it got buggy a few times. However, i moved on from the guided to the self directed quickly and it works great for me. The part I like most are the breathing exercises. It is awesome to follow along with these. Version 2 is basically the same app but more elegant and is better at tracking stats. It’s also interesting to see how many are meditating, breathing, etc. I’ve tried Headspace. Headspace uses the same one or two approaches for everything under the sun. Calm was nice for the intellectual discussion leading into the meditation but their focus is on your pocket book and not your mental health. The app was also buggy as hell. 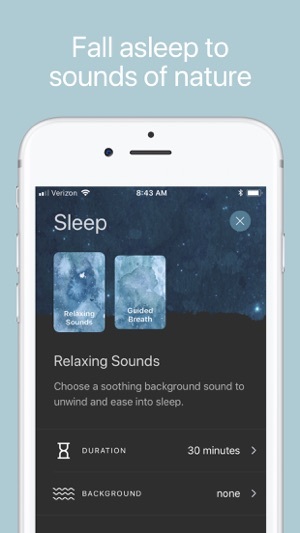 You’d have to use Headspace first before you could calmly access and use the Calm app. I have also tried Buddhify. It’s impossible to meditate to that app. They constantly jibber jabber through the whole session. Stab myself in the eye. 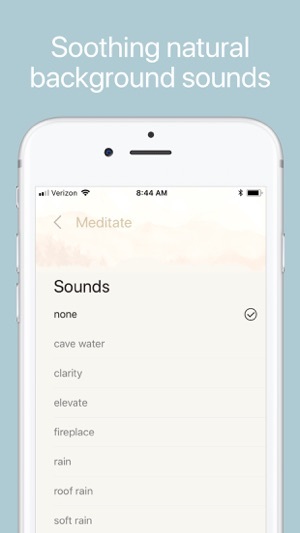 At any rate, Oak is simple, elegant and exactly what I need in a meditation app. I breathe first, then used 10-20 minutes of unguided. Perfect. And Kevin has put this out there for free. Just get it. It’s worth a try. Thanks to Kevin for sponsoring this and to Eli for great customer service and answering questions. Great job, guys! I appreciate it.